I got tired of it and looked for an alternative approach, at least until VCMI gets more stable. 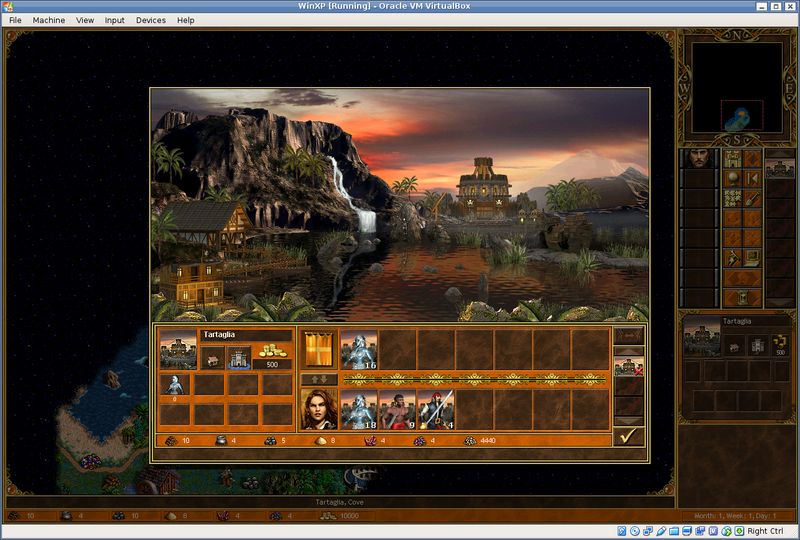 Therefore, I decided to set up the game in a virtual machine (VM) running Windows XP. Sure, the OS is no longer supported, but its only use will be for playing the game every now and then. 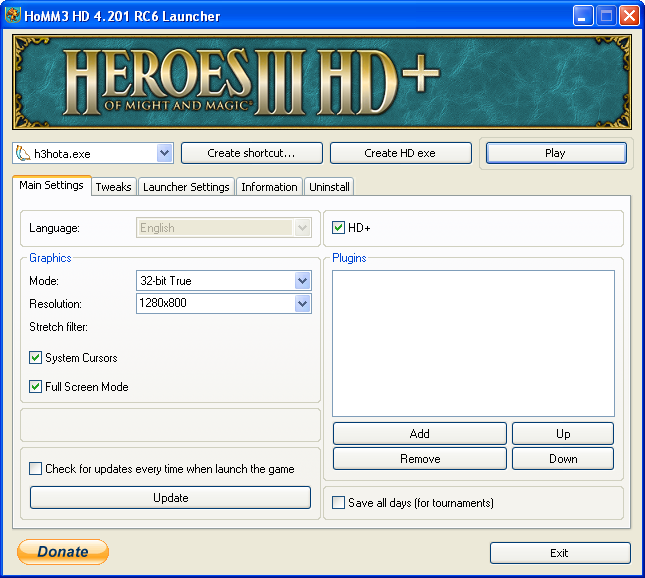 I wanted to be able to play Heroes III in a higher resolution, similarly to what VCMI offered. I searched the net and stumbled upon the Heroes Community web-site. Amazing! Seems that Heroes III is much more popular than I thought! First, install the Heroes of Might and Magic III Complete game, provided by GOG (version 2.0.0.16). This is what I own. Update the game with the provided patch to version 2.0.1.17. Install the unofficial Horn of the Abyss addon. Only this. It is not recommended to install different addons, because of compatibility issues. I chose this one because of its active development, rich features and apparent high quality. 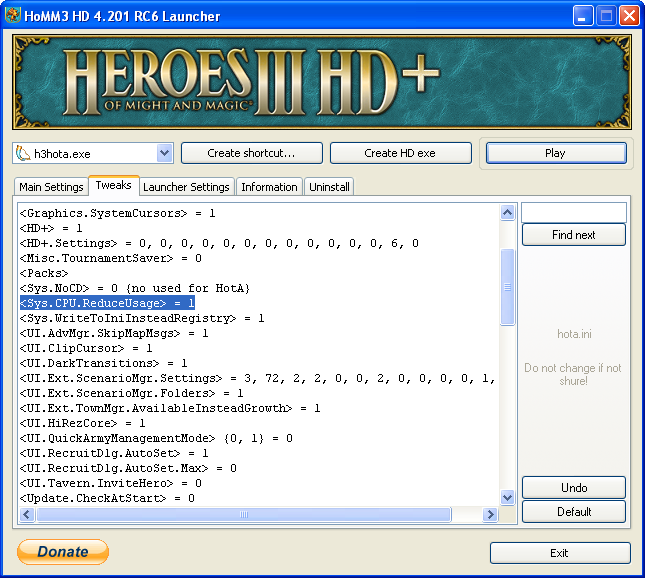 Last, install Heroes III HD+, in order to play in a resolution higher than the default 800×600 pixels. This mod is 100% compatible with Horn of the Abyss. I have heard of some enthusiasts who claim they managed to do all this in Wine. If someone has succeeded, please do tell. Honestly, I do not want to bother even trying. The full game is meant for Windows, whether we like it or not. There is a native port for Linux, which does not include any expansions and has trouble running on modern distributions. That’s really a pity. Please, do not interpret this post as a disapproval of the VCMI project. I hope that soon enough it will reach a good level of stability. I have installed both Heroes III and Heroes IV in Slackware using wine and both just run. I have not had to tweak at all. This includes both Winds of War and Gathering Storm addons for IV. hi, I have also managed to install Heroes III in Wine. The problems were with the HD+ addon. May be things have changed since then! Thanks for the feedback.